(and its transformations to a design collectible and Berlin’s future “smallest Inn in town”). 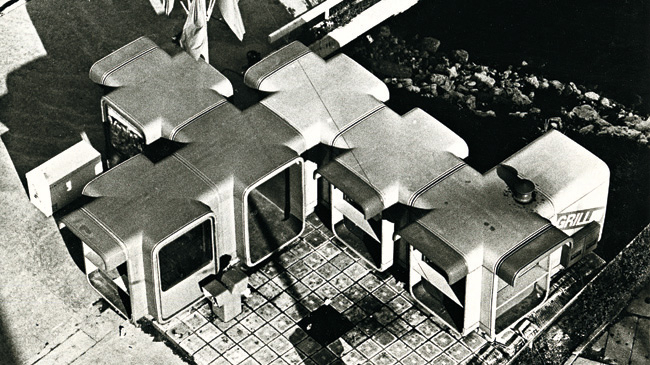 Half a century ago, a small architectural object was designed by Slovenian designer and architect Saša J. Mächtig: the kiosk K67. 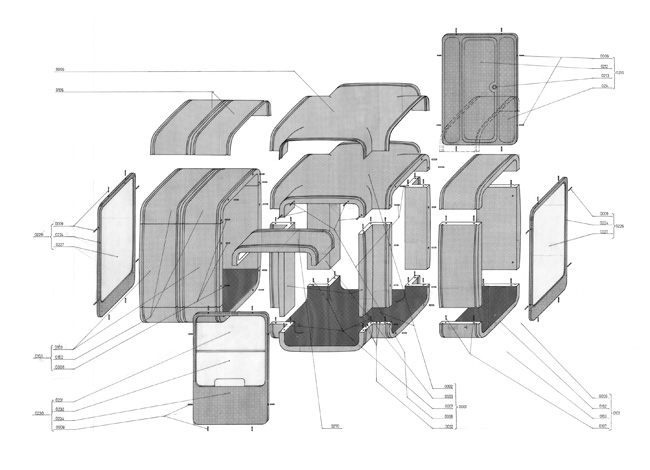 Created for mass production in the context of 1960s Yugoslavia’s “third way” socialism and a design culture of “heroic functionalism”, K67 is a modular system and easily adaptable to most variable uses. It transcended the borders between architecture and industrial design while serving “the interests of the social system to improve the existing conditions by providing facilities for the services offered in the street” (Maja Vardjan). The brightly coloured, amiably rounded box structures could be placed nearly anywhere ­– on the sidewalk, in a public square, or on top of a mountain or existing buildings. They were used to sell all sorts of small everyday goods, newspapers or tickets, to fix shoes, or even by the police for traffic control. K67 quickly became an inhabitant of the public realm all across former Yugoslavia and other socialist countries of Europe, but also a global export article. Most notably, New York’s MoMA added the kiosk system to its collection in 1970, thereby underwriting its status as a design collectible. Today, while some K67 are still performing quite mundane everyday duties, others have been renovated and entered another life as exhibition objects – for example, a red unit prominently featured in a current big show about Yugoslav architecture at the MoMA. Soon, one carefully restored kiosk (with a new interior designed by “about space”) will be established in a Kreuzberg backyard as a coffeeshop and place to meet. Can this pretty design object still be a reminder of an architectural strategy of accessibility? With Saša J. Mächtig (architect), moderated by Elke Beyer (historian). Kiosk operators Martin Ruge and Ann-Marie von Löw will be present. 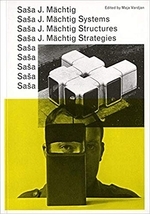 Der Architekt und Designer Saša J. Mächtig wird anwesend sein.